Let’s face it: people make their buying decisions based on what they find about you online. This is exactly why you need to focus on what shows up in SERP when they type your business’ name in the search box and press enter. And, this process of controlling your search results is called online reputation management. Unfortunately, this is one of those practices we turn to when our brand image has already been compromised. Even though such issues can be addressed easily, the key is to build and implement your ORM strategy before you need it. Let’s see how to do so. Google uses personalized and local searches to offer the most relevant content. Therefore, a person searching for your business won’t come across the same results as you will. This is exactly why you need to make sure that you sign out of your Google Account before you start your research. Use the keywords people are going to search for. Check whether there are any misspellings or variations of your name. Search results vary across search engines. So, even though Google is king, you should also pay attention to other major search engines. Which ranking category do you fall into? Once you collect your search results, you need to see whether they are satisfactory or not. Namely, there are several categories they may fall into. Each of them may significantly influence the way people perceive your business. Negative search results mean that there is at least one piece of content spreading negative word of mouth about you. However, this doesn’t necessarily mean that your site or products are bad. In today’s world of hyperconnectivity, it’s disturbingly easy to have your reputation tanked by negative reviews, false information, competitor attacks, negative media coverage, and hate sites. Irrelevant or outdated search results are an obvious indicator that you need to start improving your online reputation. Searches that are not about you. This simply means that there is another company using the same name online. In the best case scenario, these search results will prevent a user from finding you. However, what happens if you get mistaken for someone with a bad reputation? This may affect your overall brand image. Relevant searches are based on accurate content about you or your brand. Of course, no one expects you to fall into this category from the very beginning. This is something you need to earn over time. Keep in mind that your website is still the primary channel of your business’ online promotion. According to the Nielsen Group, brand websites are the second most trusted advertising source for customers. To make sure your website stays relevant for your visitors, you need to pay attention to a wide range of elements. Creating relevant pages is the nerve center of every authoritative website. For instance, About Us gives you a chance to fill your site with the facts you want your customers to know about your brand. Tell them how your business was born, what your corporate values, goals, and attitudes are. Give your story an adequate context and let your users familiarize themselves with your brand. The same goes for the Resources, Our Products, and News sections. The more relevant pages about your brand you have, the higher your rankings will be. Online reputation is all about branding. To boost your brand image, you need to add your brand name to all crucial places on your website, such as navigation, headings, anchor text, product categories, and title tags. When it comes to boosting your rankings in SERP and boosting your online reputation, blogging is critical for several reasons. 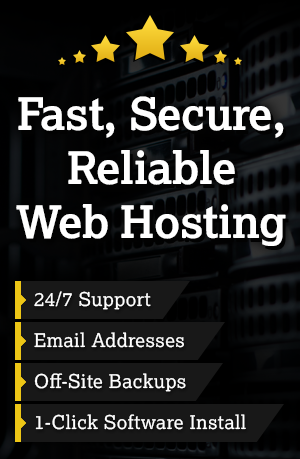 First, it plays an immensely important role in keeping your site relevant. Second, every post you write has the potential to show up on the first search results page. By uploading your content regularly, you will have more chances to be indexed, linked to, and ranked by search engines. To take your blogging efforts to the next level, you need to create and publish industry-relevant content regularly. Keep track of trending topics, give answers to all popular and unanswered questions, send unique messages that resonate well with your readers, and provide a multimedia experience through videos, photos, animations, and gifs. Your company blog doesn’t have to be your only blog. With Google+ authorship, you can start your personal blog on any topic that is related to your niche. This is an amazing way to boost your personal brand and make your website even more relevant. One such example is Danny Sullivan, Search Engine Land’s editor-in-chief, who also has his personal blog called Daggle. So, if you want to create a few blogs for yourself or your company, link them to your Google+ profile via Google+ authorship. Also, make sure that your name is in the title of the blog (for Sullivan, that’s Danny Sullivan’s Personal Blog). With the rise of social media, user-generated content has become a must. 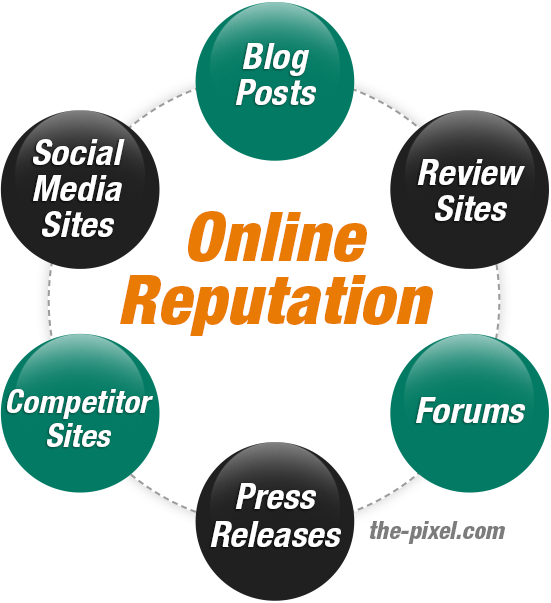 Remember that everyone, from your stakeholders to customers, is talking about you online. They are discussing your customer services on Facebook, tweeting about your products, and commenting on your content on your blog and LinkedIn. Moreover, social networks are considered highly relevant and authoritative, which is why search engines rank their profiles high. Given all these facts, it’s obvious that investing in your social media presence is obligatory. However, you need to do this wisely. Namely, you want to create several strong social profiles on important social networks and keep them up to date. There’s little point in creating a bunch of profiles on social networking channels no one cares about. If you were wrong about something, accept your responsibility and apologize. Google tells us that guest blogging is dead. However, statistics tell us the opposite. Namely, 64% of marketers claim that over 25% of their SEO work is dedicated to securing links. When it comes to ORM, guest posting is done in a slightly different manner. Namely, you need to find perfect link building opportunities. You’re not looking for one of those sites where your name will barely be mentioned. Instead, you need to publish your content on sites that will give you a bio page or enable you to create a custom profile. Logically, the better the site, the higher the chances of your author page appearing in search results. When you are asked to do podcasts or interviews, this is an amazing opportunity for you to raise brand awareness and build a better online reputation. In such cases, your name or your brand name will probably be placed in the title of the content, which will rank better in SERP. Once the article or the video is live, you should post a link to it on your website’s In the Media/Press section. Ever listened to Google’s Matt Cutts or Moz’s Rand Fishkin? Their videos are brief, to the point, and highly relevant. Most importantly, apart from covering some great digital marketing topics, they have also helped them build a strong personal brand and present their companies as approachable to their target audience. When posting a video, don’t forget to add your company’s name in the title of the video. Finally, you need to remember that monitoring is the key to your online reputation. Keep track of any news and discussions on your business, be they positive or negative. Only this way will you be able to address all issues in a timely manner and build a lasting and recognizable brand. What online reputation strategies do you use?